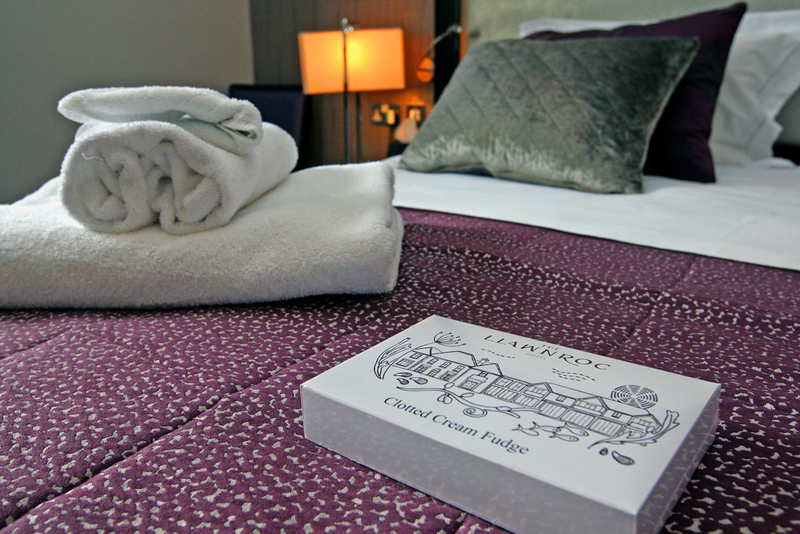 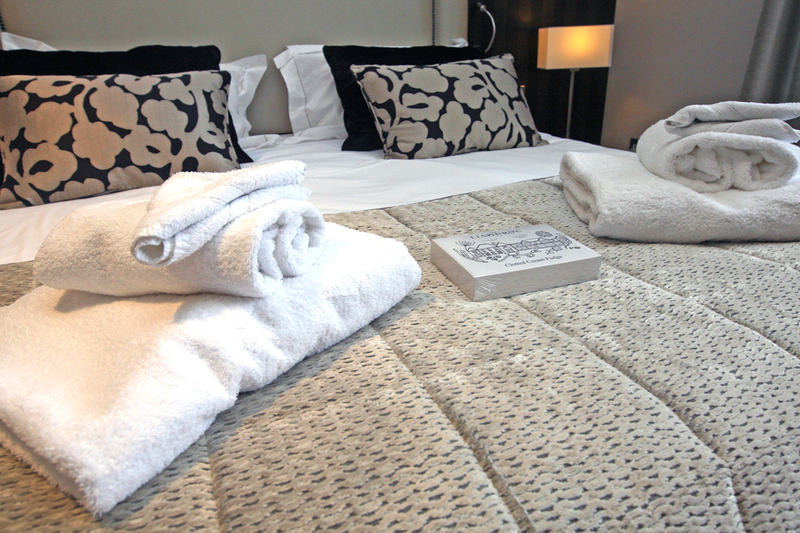 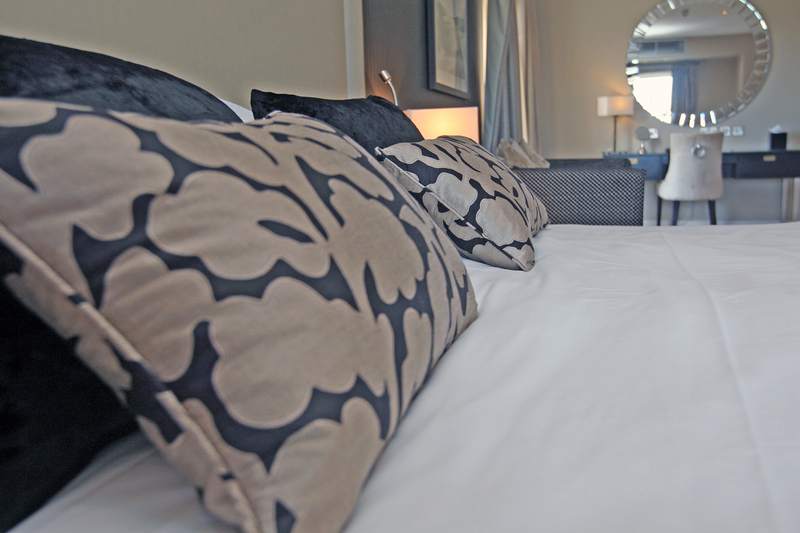 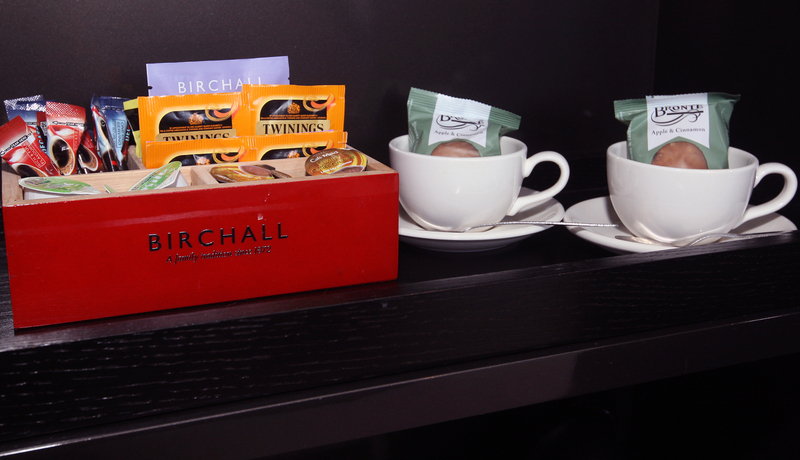 The Llawnroc Hotel has 18 beautiful bedrooms catering for a variety of needs and budgets. 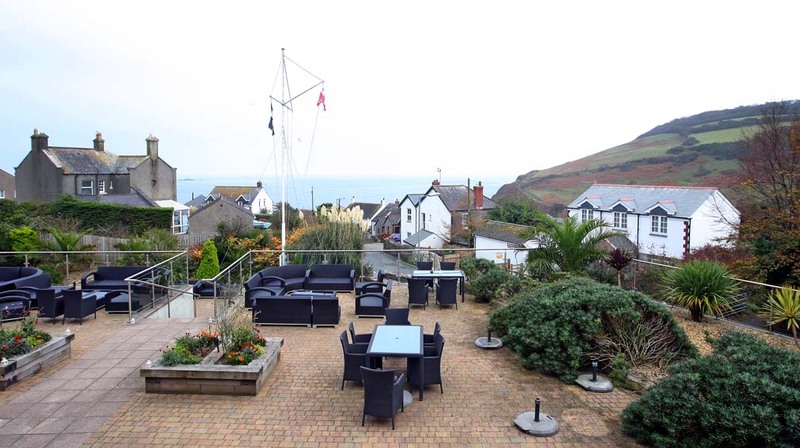 We have 11 rooms that face south with picturesque views towards the Cornish coast, the village of Gorran Haven and the South West Coastal Path. 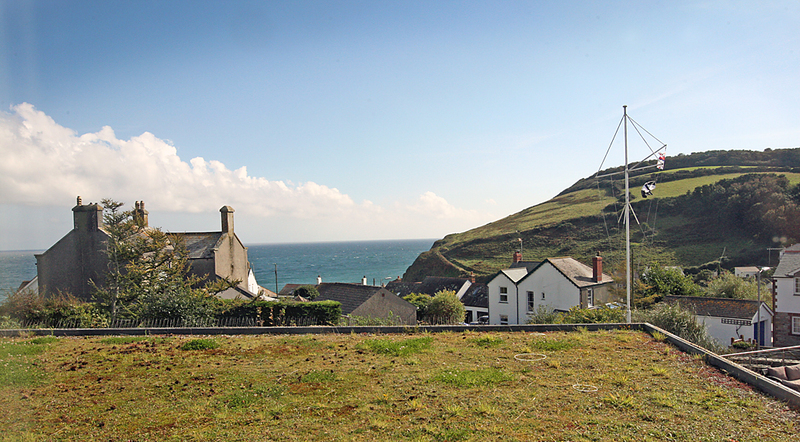 The remaining seven rooms face away from the sea, over the small hotel car park to the greenery and trees beyond. 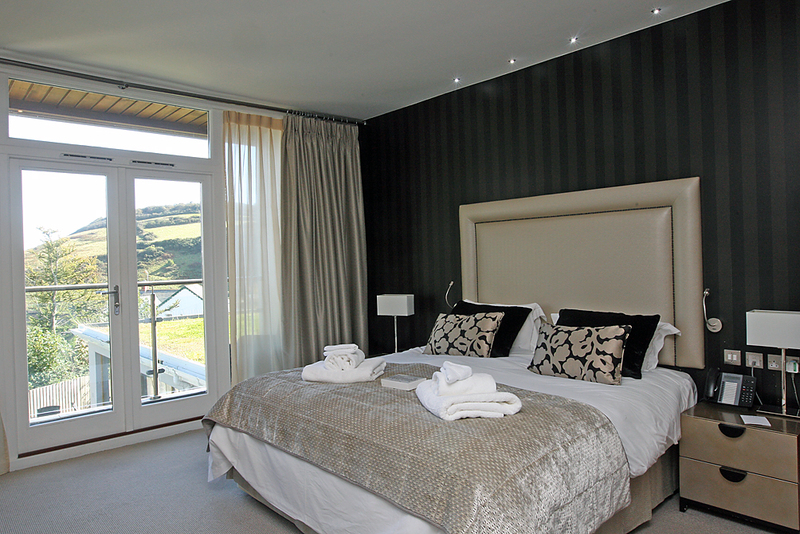 Rooms 1, 3 and 5 all have balconies to sit out on and enjoy sea views or glimpses, with the hills of the South West Coast Path beyond. 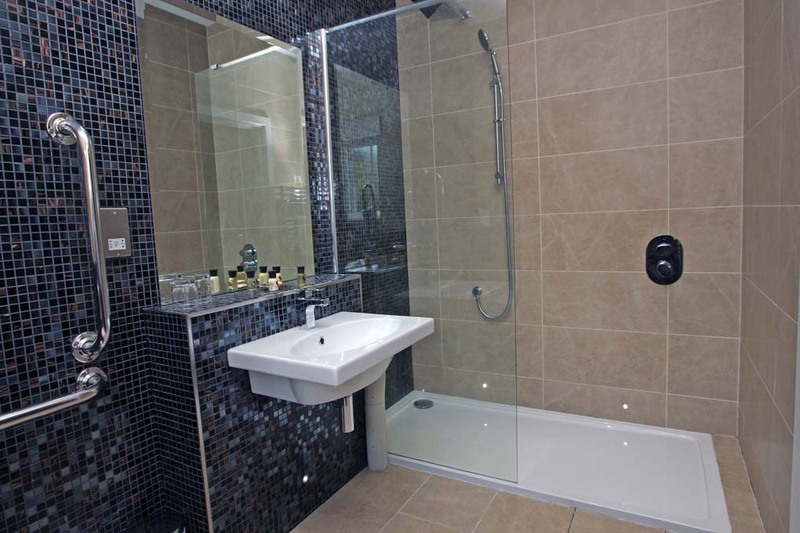 All are fitted with a shower over a bath and Room 5 can also be made into a twin room. 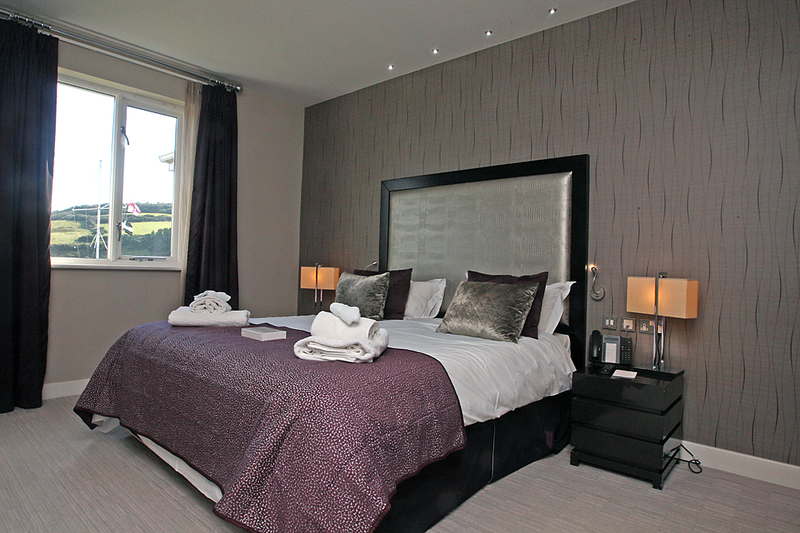 Each of these rooms can also accommodate one child on a Z Bed. 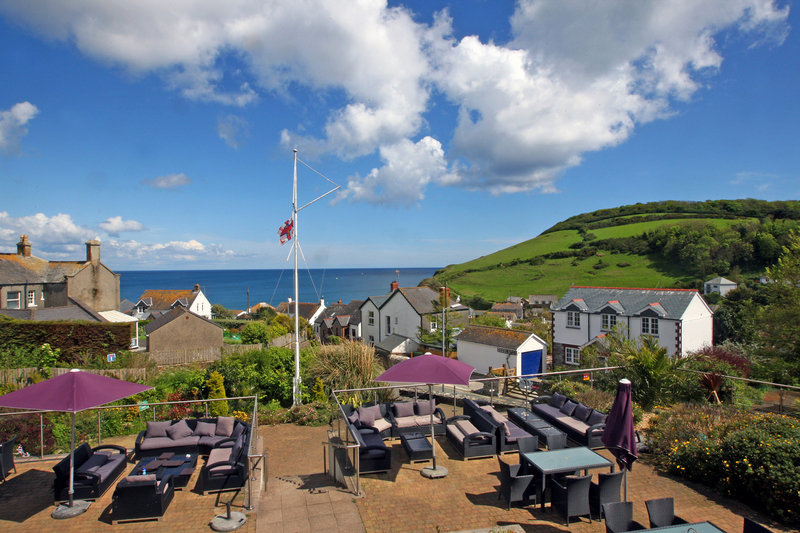 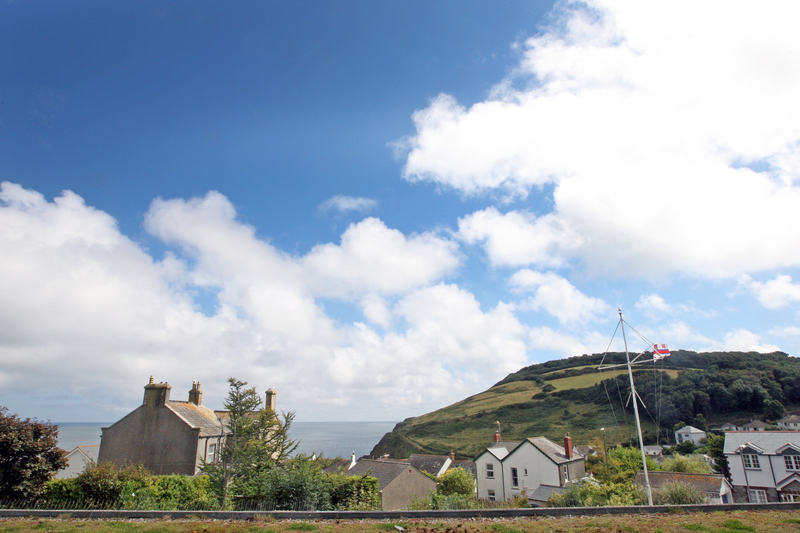 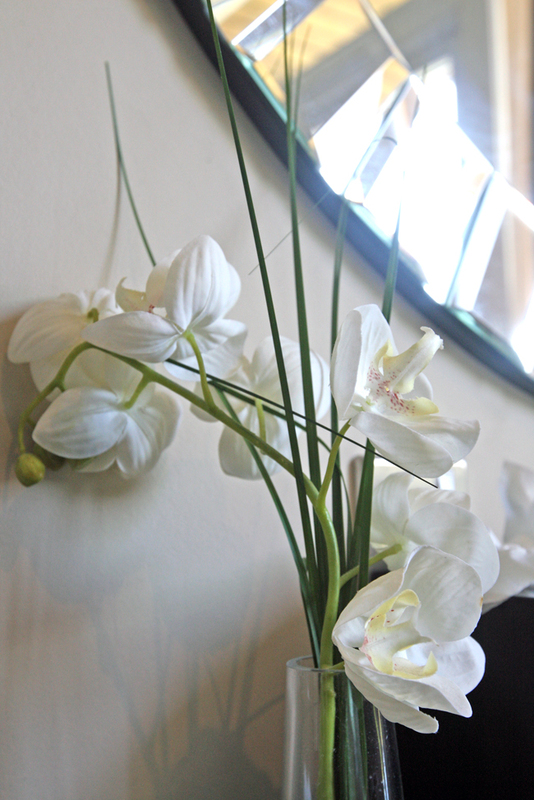 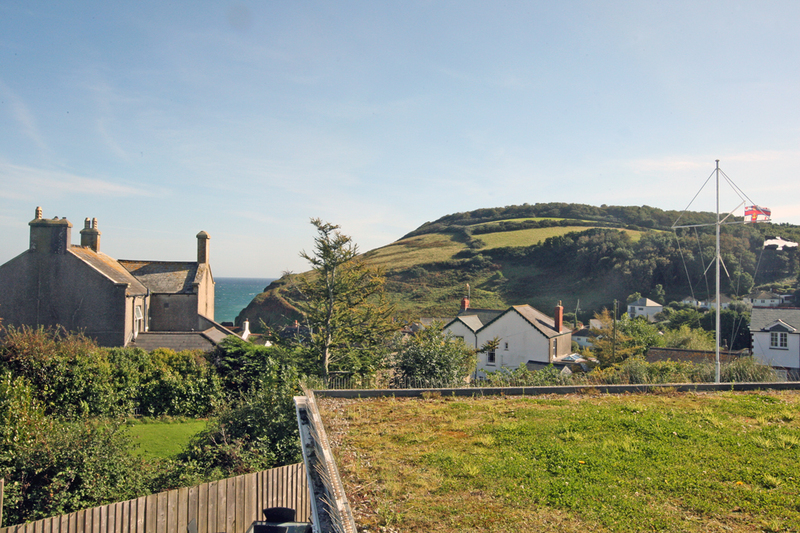 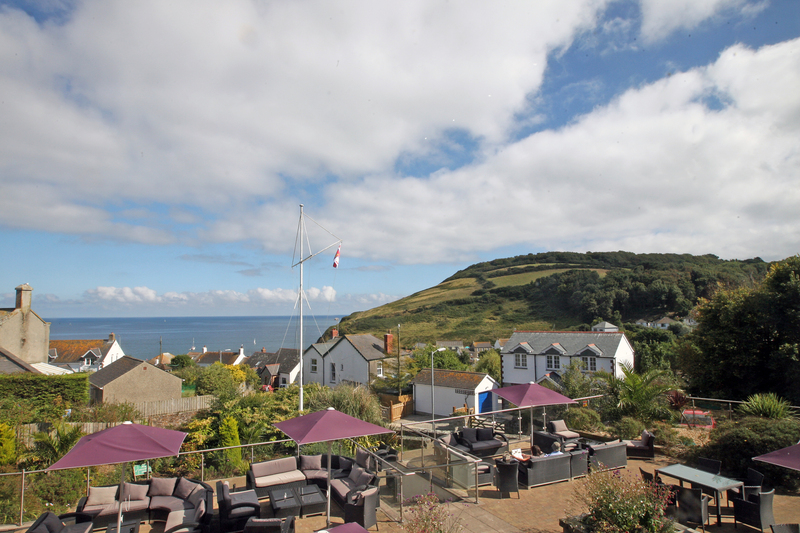 There are six sea view rooms all boasting sea views or glimpses, with the hills of the South West Coast Path beyond. 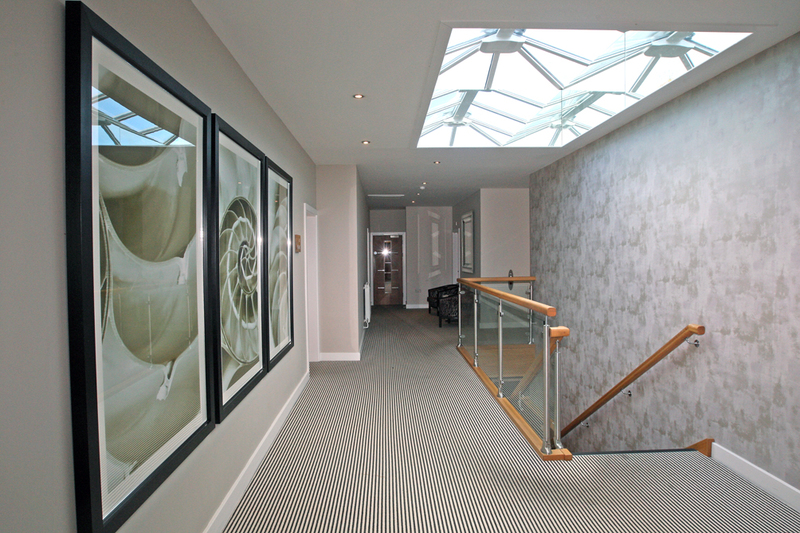 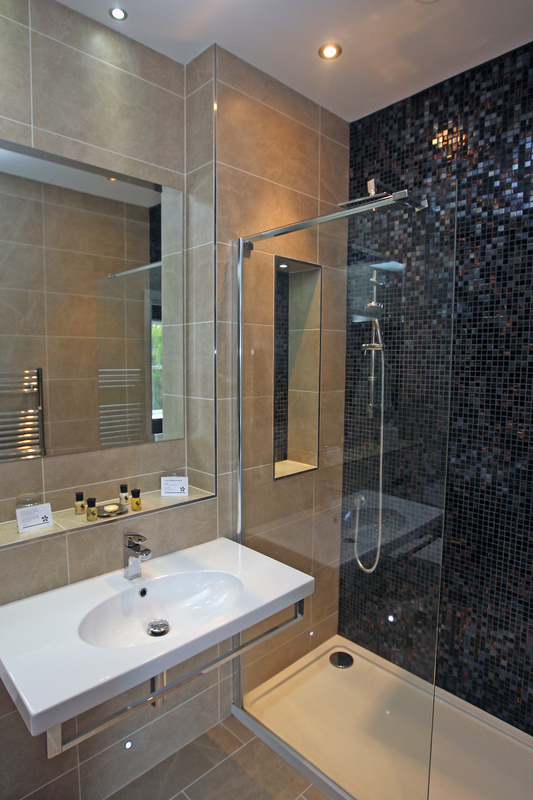 All are fitted with a shower over a bath and Room 2 can also be made into a twin room. 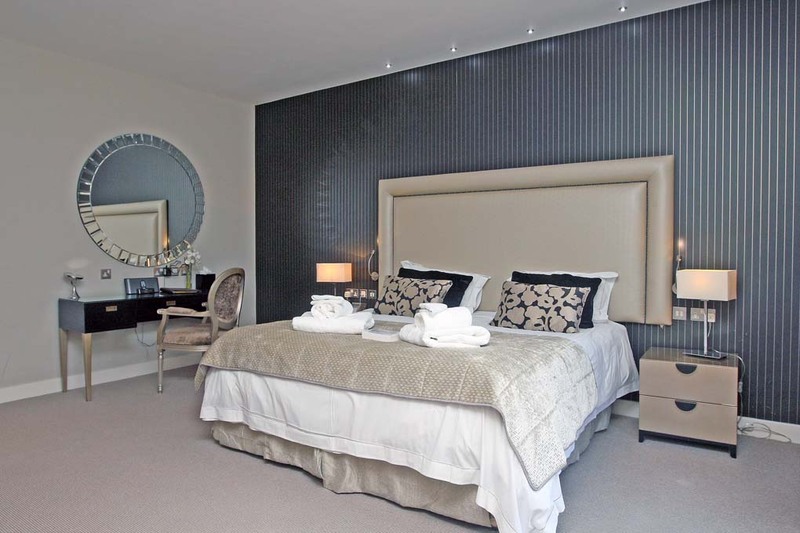 Each of these rooms can also accommodate one child on a Z Bed. 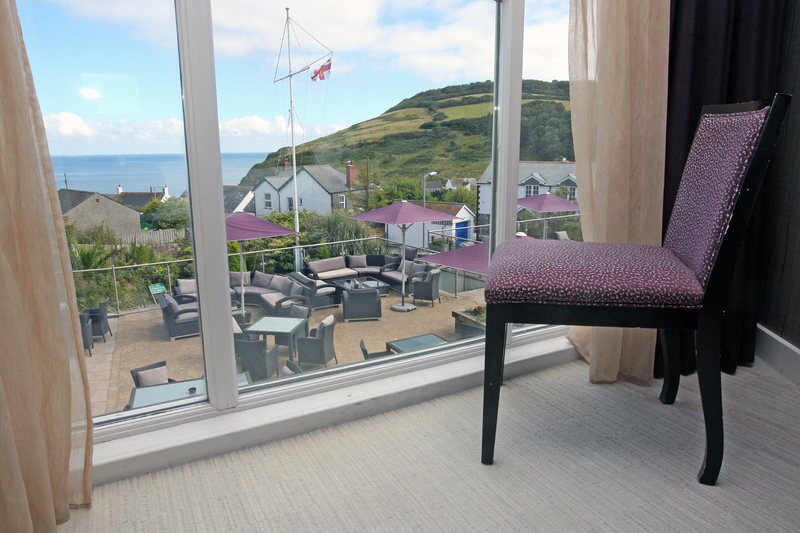 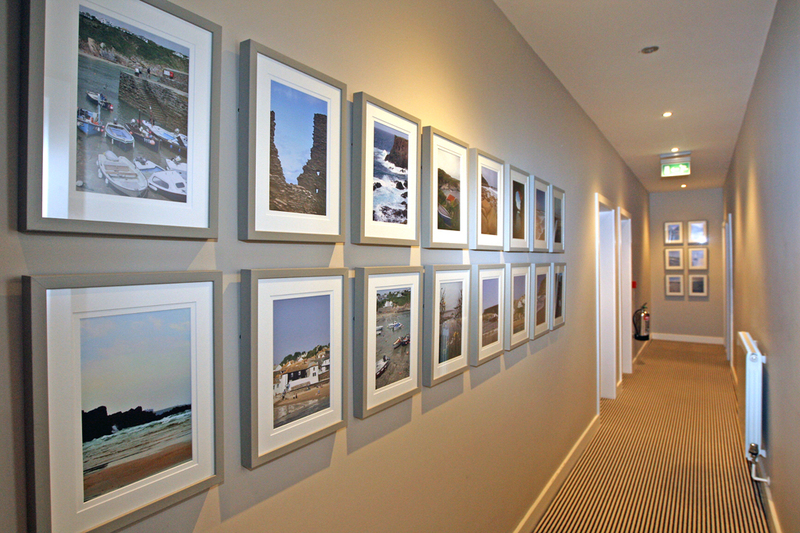 Our two suite rooms both face south with beautiful views towards the Cornish coast, the village of Gorran Haven and the South West Coastal Path. 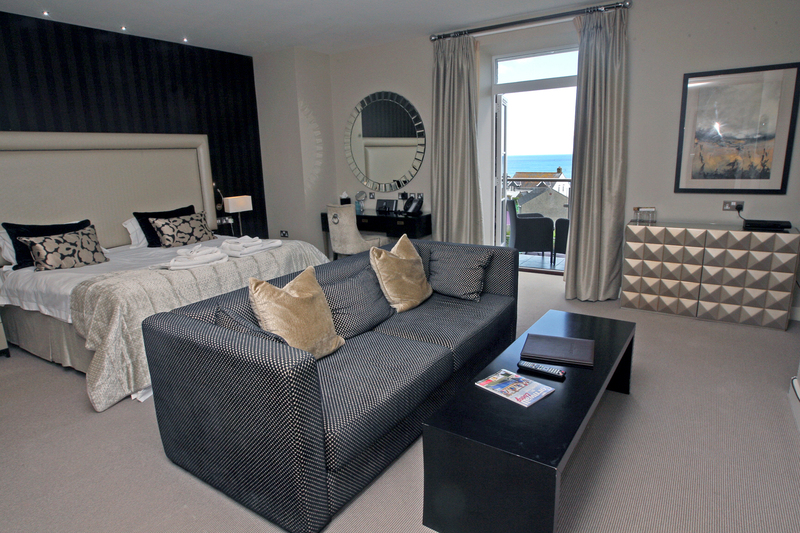 Room 8 boasts a balcony to sit and relax on, and can also take one extra child on a Z Bed. 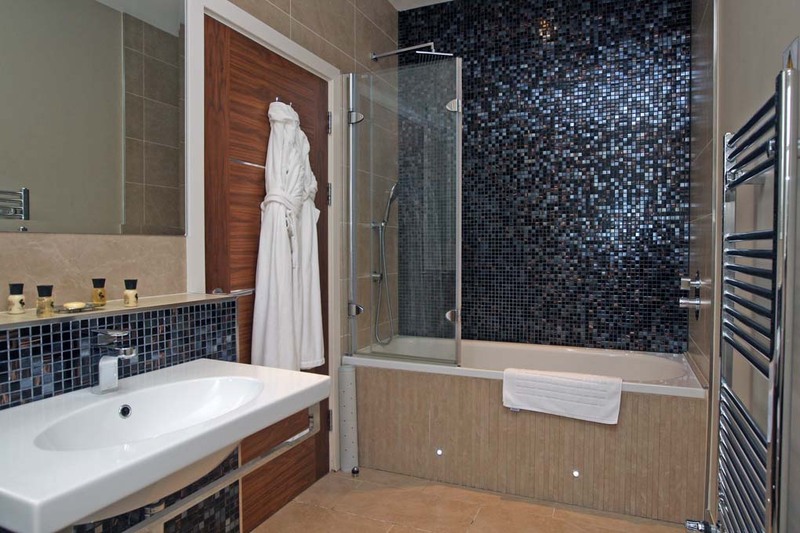 Room 11 has a dual aspect and a bathroom with a separate bath and shower. 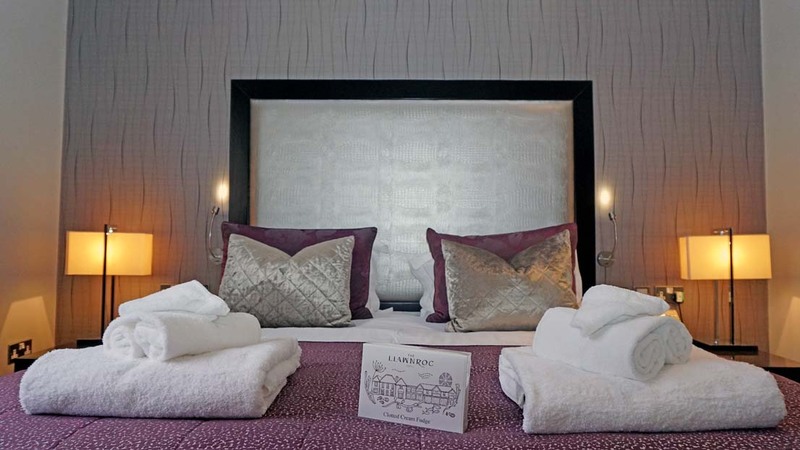 This room can take up to two children on Z Beds and can also be made as a double or twin room. 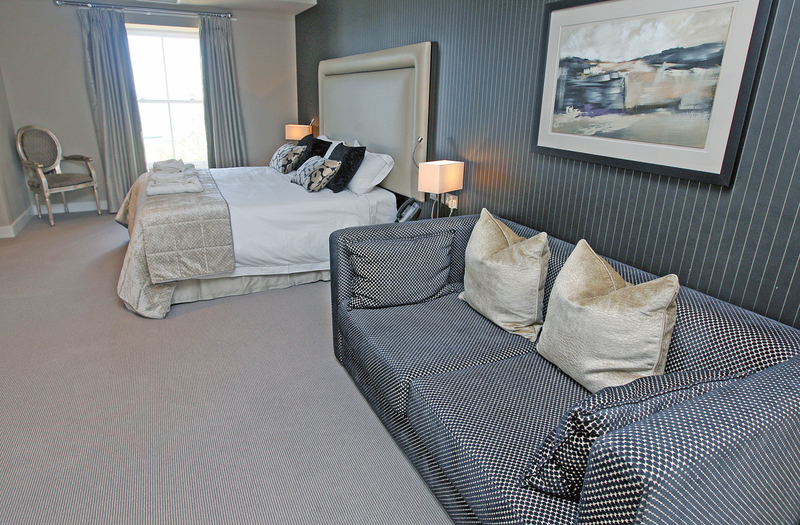 Both rooms have a comfortable sofa to relax on. 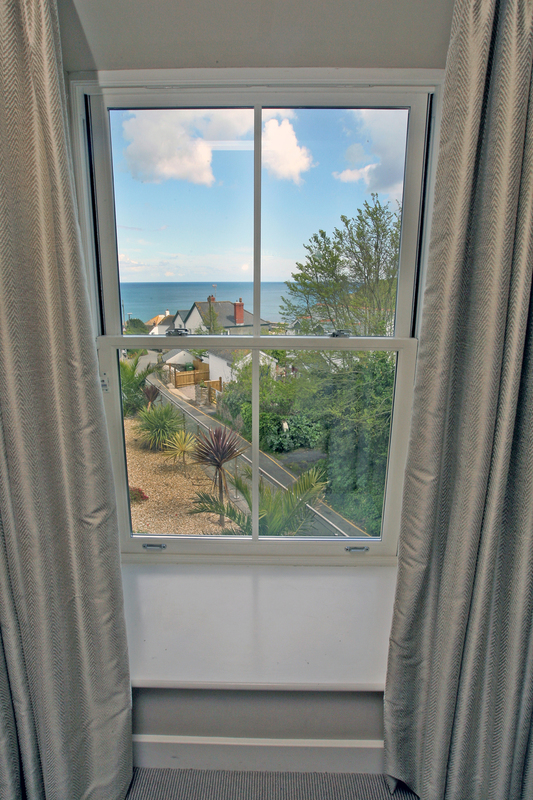 Our seven standard rooms (12-18) face away from the sea, over the small hotel car park to the greenery and trees beyond. 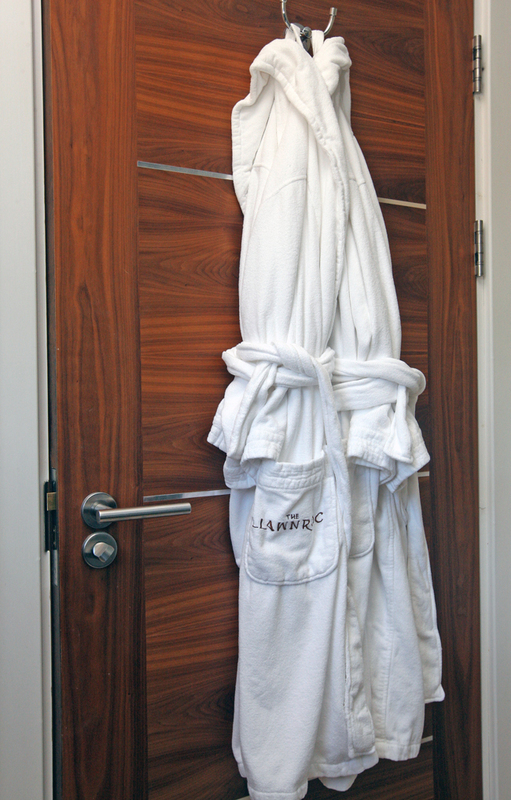 Room 12 is a large, easy access room with a walk in shower (no bath) that is situated next to the hotel lift. 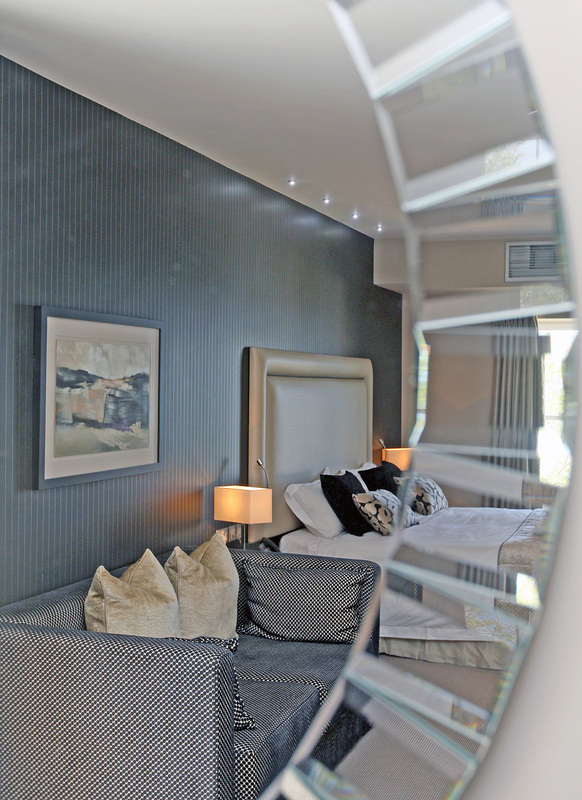 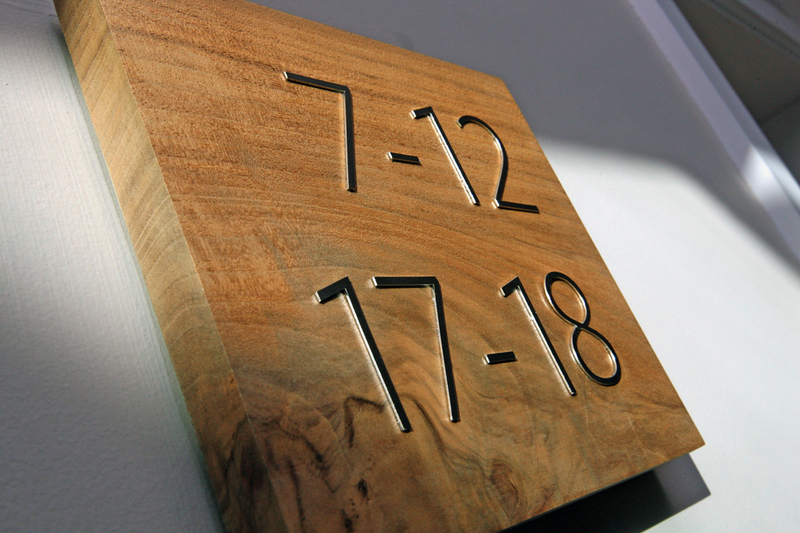 Room 17 is the smallest of our standard rooms with a shower only and can be a Family Suite with an adjoining door to Room 18. 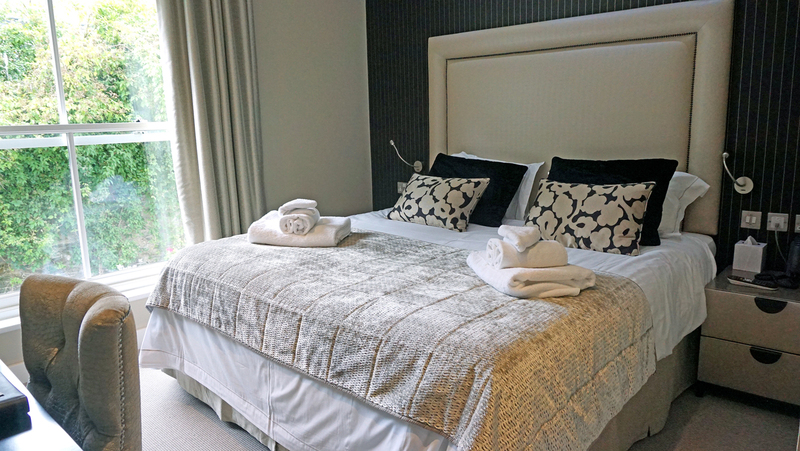 All other standard rooms are generous in size and can accommodate up to two children on Z beds except Room 14 and 15, which can take up to one child. 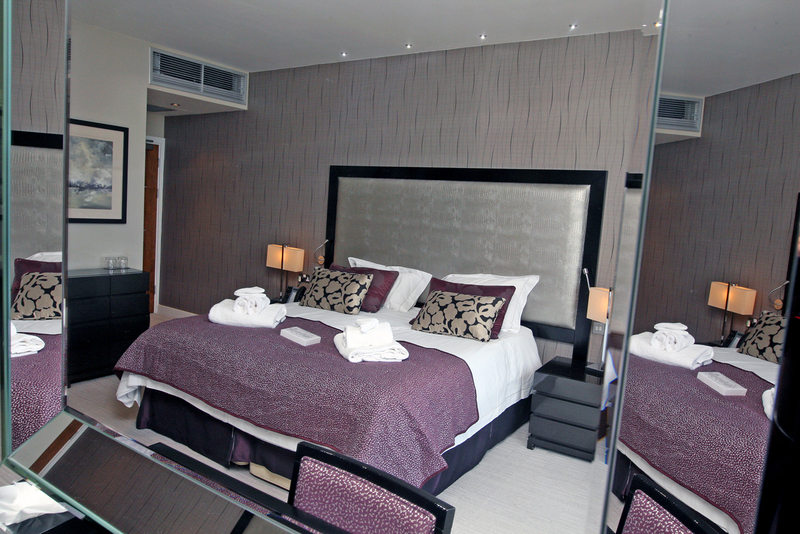 All standard rooms are king size beds with Rooms 12, 13, 16 and 18 having the option to be twin rooms.